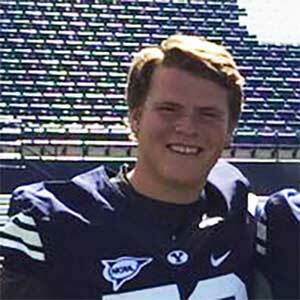 Kalani Sitake continues to add depth to the offensive line with the addition of Clark Barrington, who gave a verbal commitment to the Cougars on Saturday. Barrington is a 6’6” 275 pound Offensive Tackle who will likely be a mission-first player. Barrington preps at University High School, where he has played left tackle, defensive end, and long snapper. As a senior he was named to the All-League GSL first-team, and 4A All-State honorable mention. He also plays for the basketball team and carries a 3.96 GPA. KXLY 4 News did a nice video spotlight of Barrington’s work on and off the field which you can see here. Barrington is rated 2-stars by Rivals and Scout, and has not been rated by ESPN. He holds scholarship offers from BYU, Eastern Washington, Idaho, Idaho State, and Montana and was also recruited by Utah. 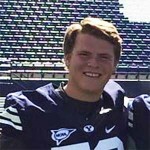 Barrington has plans for an LDS mission prior to playing for the Cougars. Last Team: University HT/WT: 6’6”, 275 lbs.